Ohhhh how I love playing with new crafty goodness 🙂 The new cattie is out and although I have not been able to spend as much time crafting the last couple of weeks as I would have liked, I have gotten a few sweet moments to make some cute things. 2016 has been the year of health problems for me and I am just hoping that I have turned a corner now and everything is on an upswing! 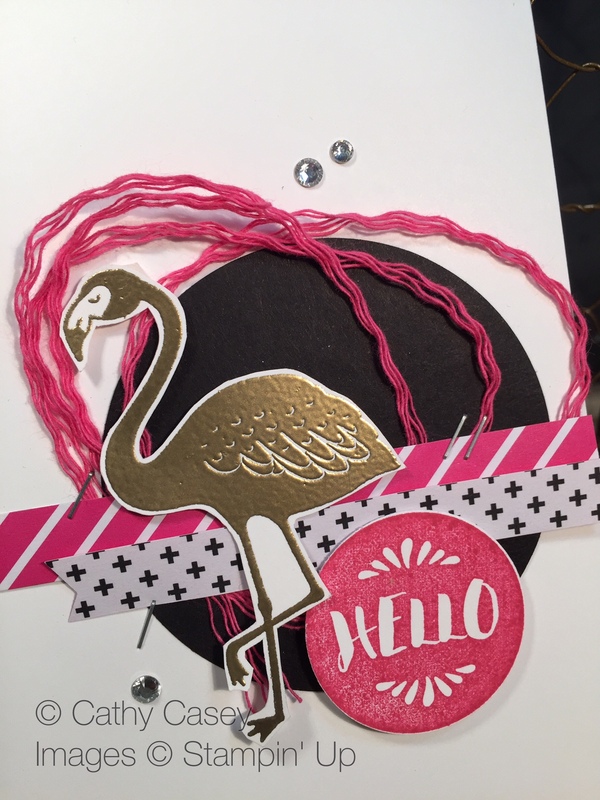 Today’s card features another new fave stamp set “Pop of Paradise” …. I’m talking serious cuteness factor! I can’t get enough of the adorbs Flamingo. This card flew together really quickly…tee hee! (do flamingos actually fly??!) 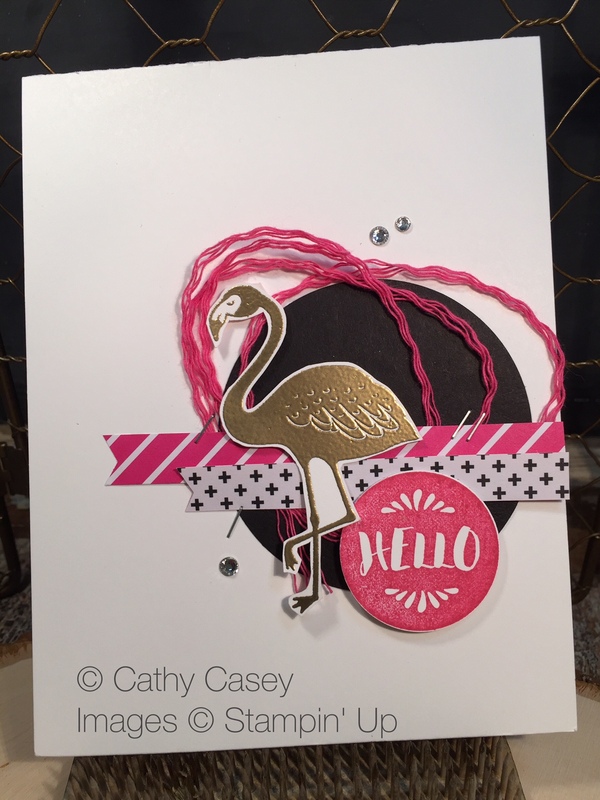 I gold embossed Ms. Flamingo and fussy cut her and the rest of the card is easy layering of the other elements. 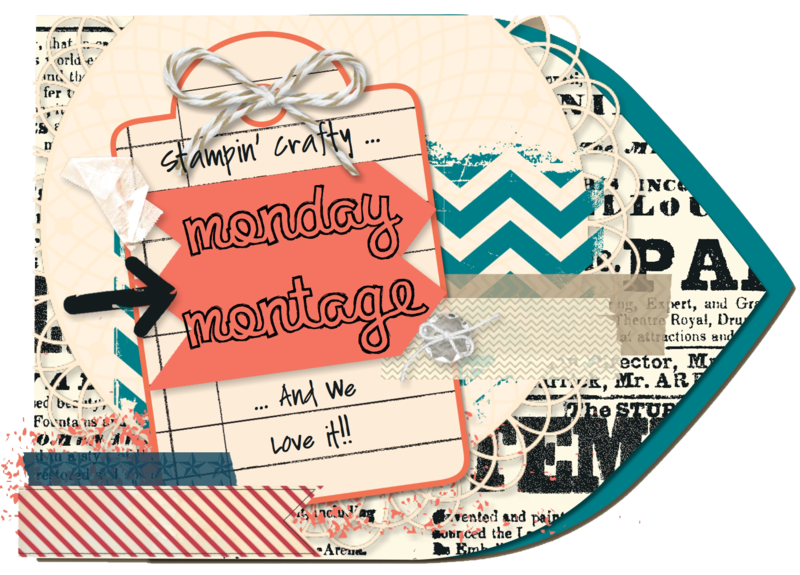 This entry was posted in 2013 Artisan Design Team Finalist, Cards, Punches, Stampin' Up and tagged featured, Montage Blog Hop, Pop of Paradise, Pop of Pink, Stampin' Up by kate80132. Bookmark the permalink. I love how you gold embossed the flamingo and then perfectly cut it out. Great card, Cathy!